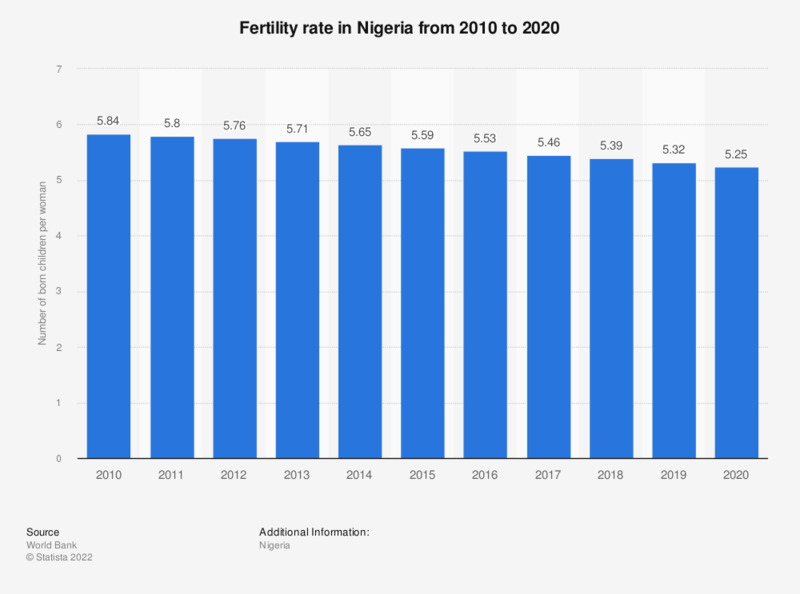 This statistic shows the fertility rate in Nigeria from 2006 to 2016. The fertility rate is the average number of children borne by one woman while being of child-bearing age. In 2016, the fertility rate in Nigeria amounted to 5.53 children per woman. Today, Nigeria is among the countries with the highest fertility rate on the world fertility rate ranking.